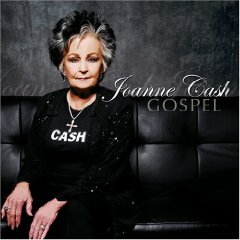 As the younger sister of the legendary Johnny Cash, Joanne Cash has certainly made her way in the music industry. With twenty-six historic recordings, the acclaimed autobiography My Fears Are Gone, and continuous concert appearances, the singer/songwriter extraordinaire is driven by a deeper sense of eternal purpose. Growing up in the Cash family alongside Johnny, plus fellow siblings Reba, Jack, Tommy, Roy and Louise, some of her earliest memories from their Dyess, Arkansas upbringing (the family later migrated to Nashville ) was singing spiritual standards in the cotton fields while working in the steamy sun, after which the family would convene inside together for old time radio programs. On October 18th, 1970, Joanne gave her heart to Jesus at a small area church and began a brand new life. It was at that time she found a musical calling while working at House of Cash, Johnny’s famed recording studio, office space and musical museum. During that era, Joanne also met the new love of her life, Dr. Harry Yates, whom she married on December 27, 1971. The couple soon dedicated themselves to full time music ministry, traveling with her two daughters. After fifteen years of full time preaching and singing the gospel they felt called off the road in 1990 and headed back to Nashville . The couple founded Nashville Cowboy Church which started with a mere six people in the Sweetwater Lounge of a local Holiday Inn. It gradually multiplied into two hundred attendees, then doubled to four hundred, after which it transferred to the sizable Texas Troubadour Theatre (adjacent to the Opryland Hotel), where Joanne continues to sing every Sunday. Aside from area services, Cash hosts frequent concert engagements, such as a Tuesday night residency at the Wyndham Vacation Resort where she shares a variety of original and gospel/country covers, plus tidbits of the Cash family testimony. 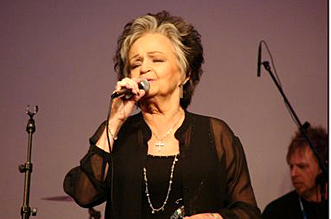 That testimony can be found on her latest CD Gospel, which includes 15 hymns and original songs, such as Cotton, Popcorn, Peanuts and Jesus (the basic fabric of what Joanne was raised on), and Glory Glory, a bold expression of faith relating to her brother Jack’s death and the fact that all the siblings will again be united in heaven. Johnny penned Meet Me in Heaven, which was one of the last songs he and Joanne sang together before his wife June Carter Cash made her heavenly passage. Johnny’s 1979 standard Welcome Back Jesus is also included, as is the vintage church hymn Let the Lower Lights Be Burning. Additional cuts include When He Comes, which features Johnny’s spoken word introduction about writing the song in Jerusalem when standing in the Biblically outlined spot where Christ could quite possibly return. The last two tracks Joanne and Johnny ever recorded together are also included, Lower Lights and Softly and Tenderly, which is highlighted by Johnny’s weakening but inspiring voice.